Ever since Apple introduced the iPhone in 2007, the launches of the company’s products have been met with high anticipation. The upcoming release of the iPad Pro 2018 aka iPad Pro 3 is no exception. Those who tuned into the Apple Worldwide Developers Conference (WWDC) 2018 to see whether they will unveil the new iPad Pro 3 were disappointed when the company did nothing of the sort. 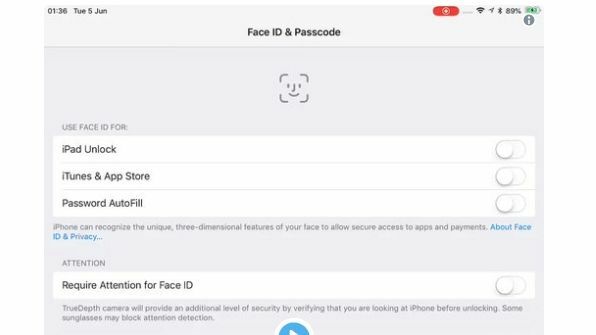 Tech pundits were expecting the California-based corporation to use the event as a launching pad for an iPad Pro model with a Face ID feature, according to MacWorld UK. The WWDC is a major platform for Apple to announce its new products and services. Last year, the company introduced the iPad Pro model with a 10.5-inch screen in the conference. With the praises that the iPhone X got for its design, it would be possible that the new iPad Pro 3 will take some cues from the smartphone’s design. This could mean that there will be no more Home button. There may also be an edge-to-edge screen. Experts also believe that the new iPad will utilize a faster A11X Bionic processor. While there is still no official word from Apple as to how much the iPad Pro 2018 will be, experts believe that it will most likely cost around $650-$800. This puts it around the same amount as the iPad Pro 10.5 inch (2017). With no iPad news in the WWDC, there will be no more major news about the iPad Pro 3 until September. The new tablet device may be introduced into the market along with the newest iPhone. The iPad-less WWDC, however, still brought a lot of exciting Apple updates. At the center stage of the event is the preview of the iOS 12, which featured major performance improvements. Apple also showed its augmented reality platform ARKit and the new app Measure. What are your thoughts on the iPad Pro 3 or iPad Pro 2018? Comment below for us to know.